A soft and supple Deerskin glove from Hestra. 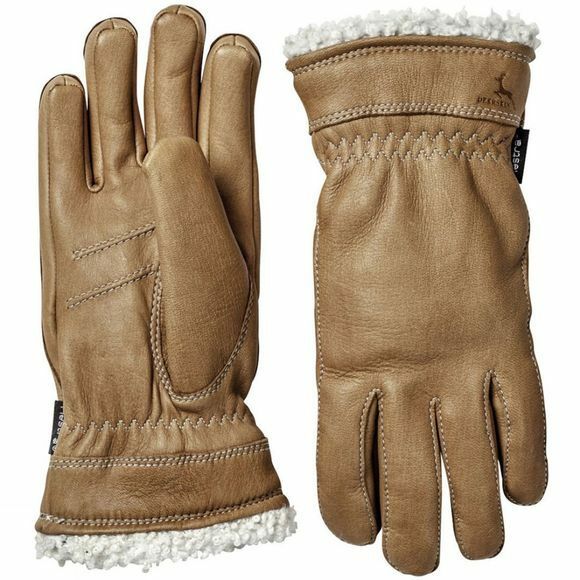 Decorative lambs fur at the cuff and soft Primaloft insulation, give the Deerskin Primaloft glove that luxurious feel, both using and being seen wearing in them. Lightweight and a cozy fleece lining, means that your hands will be warm with the Deerskin Primaloft glove, in cold conditions.